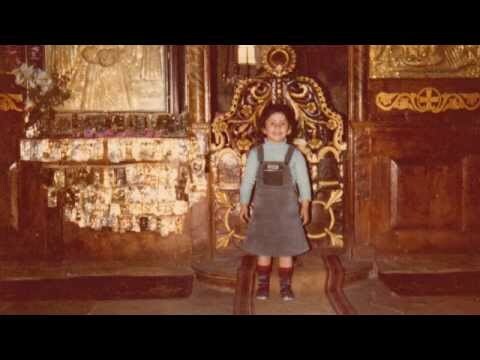 In the videos posted below, renowned Byzantine musician Nektaria Karantzi explains that her parents were spiritual children of Elder Porphyrios, and how she grew up in an ecclesiastical atmosphere. Weekly they would visit the Elder before he died, and she would sit next to his bed and receive his blessing. When she was eight years old the Elder told her parents to put her at the chanter's stand to learn Byzantine music. This was because he would teach her hymns and got her to love singing them. It was the dream of the Elder to form a choir of women to chant in churches on Sunday. This choir was formed by a priest who was a spiritual child of the Elder, and one of the girls was Nektaria. This kicked off her career as a Byzantine musician. 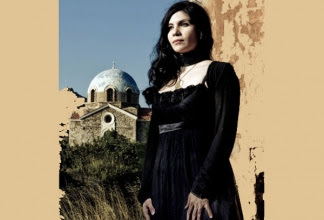 She later completed her studies in Byzantine Music, and received a Degree and a Diploma from the Byzantine Music School of the Metropolis of Piraeus, taught by notable tutors including Dimitris Verykios. Nektaria Karantzi is known for her recordings with the Elder between the ages of fourteen and nineteen which can be heard online, where they are heard chanting together. However, these recordings were done after the death of the Elder, as she explains, and his voice was dubbed onto the recording to make it sound like they were together. One day not long ago, when Nektaria was visiting a certain monastery in Attica, the abbess was overjoyed to see her. This was because when the Elder was still alive, and the abbess was going through a hard time, he would call her every night to comfort her, and at the end of the conversation he told her to come to his monastery so she could hear the recording of a child chanting the Canon to our Sweetest Jesus. The abbess told Nektaria that it was her that she heard that day. 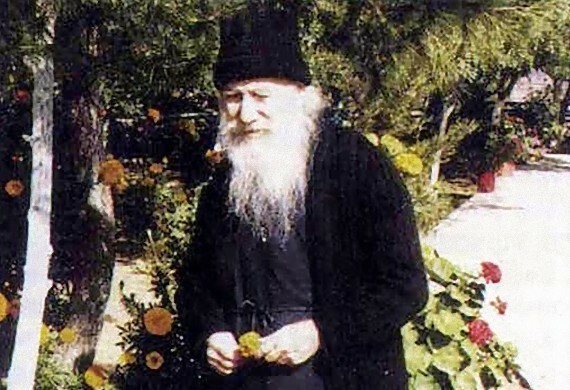 But Nektaria explained that those recordings were not done until after the Elder died. It seems that the Elder miraculously had these recordings during his lifetime before they were even recorded. Another miracle experienced by Nektaria took place, again after the death of the Elder, when she was around nineteen and went to the chapel near his cell to make her final recording. However, that day there was something wrong with her voice and she couldn't chant. Knowing that the Elder could help her, she went to his cell, where she often sat when she was younger, and asked for his help. Returning to the chapel, the recording began, and her voice was immediately restored as if nothing was ever wrong. They recorded all day, her voice remaining strong the entire time, but when she sang the last note of the last hymn for the recording, her voice closed again. Her impressions of the Elder was that he was a man of deep love who had such a gift of clairvoyance that he was able to tell each person what they needed to hear, and not what they wanted to hear. Often when she was a child she would witness people leaving the cell of the Elder, with tears of joy in their eyes. Since she was very young when he died, she cannot remember the many words he shared with her family, but she can remember what it was like to experience growing up with a Saint through the eyes of a child. She says: "Though I did not understand every word he said, I did understand how many times he said the word 'Christ'. There is no greater teaching than this. When the Elder said the word 'Christ', I have never heard a more sweeter word from anyone. He constantly said the word 'Christ'. For a child this is a more substantial teaching, by hearing the name 'Christ'." Nektaria at the age of four. She also says that "the Elder was not a saint of the law, but a saint who was above the law." He came at a time when people follow the letter of the law, but he received all the spiritual gifts in plenty by not being how others expected a Saint to be, though wholly within the tradition of the Church. For example, she recalls a conversation a certain man had with the Elder about the Orthodox teaching on the remembrance of death. After he talked to the Elder about the remembrance of death, the Elder told him that there is something greater than the remembrance of death, and that is the remembrance of love. "When you think about Christ, you won't think about death," the Elder told him. This was an example of him being above the law. Finally she explains how her acquaintance with a Saint as a child kept her close to God in her life. No matter all the troubles and suffering she went through later in life, the foundation of knowing the Elder as a child kept her close to God. By this she sees the Providence of God in her own life. And the Elder had a particular way of bringing out the gifts of each of his spiritual children. For her it was to be a singer in the Church.